Two former CIA agents reunite for a dangerous mission in which nothing is as it seems in this seductive thriller from the author of the Mongo Mysteries. 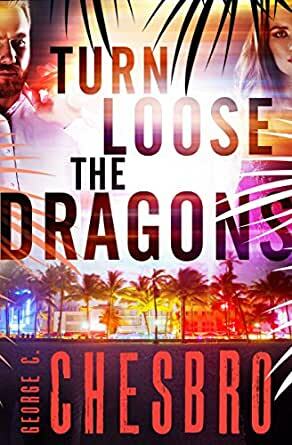 Rick Peters was one of the CIA’s best operatives until the day the dragons—the company’s elite covert team—were disbanded. Forced into unwanted retirement, Peters struck out on his own, becoming an assassin. Now, a two-million-dollar payday is on the table if he can take out San Sierran dictator Manuel Salva. Peters intends to make it look like a CIA operation . . . and he has the perfect patsy in mind. Retired for fifteen years, Alexandra Finway has left covert ops behind to raise a family. But when her former partner—and lover—storms back into her life, she finds herself contemplating getting back in the field. Peters claims the CIA wants two of their former dragons to stop a hit on Salva and remove the contract killer from play, all in the interest of international security. A patriot at heart, Finway agrees to take on the mission, unaware Peters has drawn her into a dangerous game of cross and double-cross—and few will make it out alive.